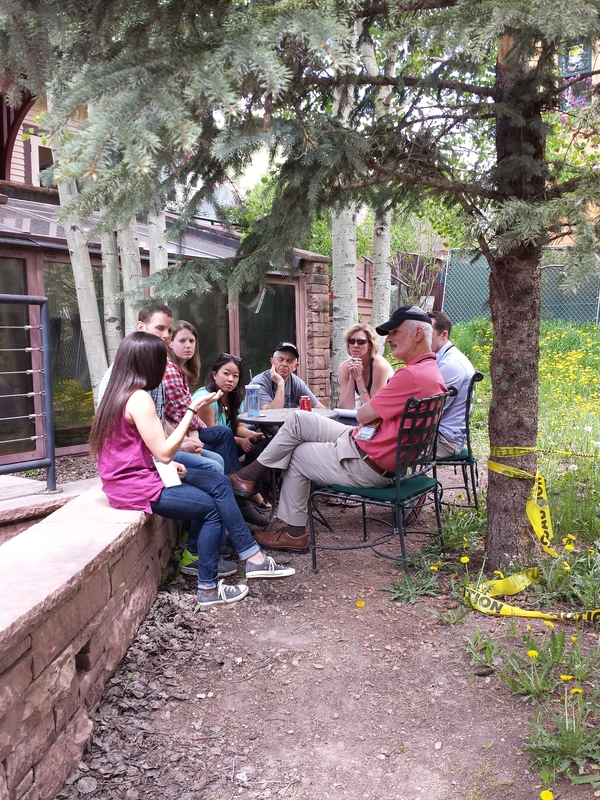 Having just concluded another inspirational week of learning at our Telluride Patient Safety Roundtable and Resident Summer Camp, I couldn’t help reflect with our faculty on all the amazing and passionate young caregivers who were with us. Thirty resident physician leaders, each chosen by medical center leaders from across the country, actively engaged with international leaders in patient safety and patient advocacy, with the goal of making patient care safer. 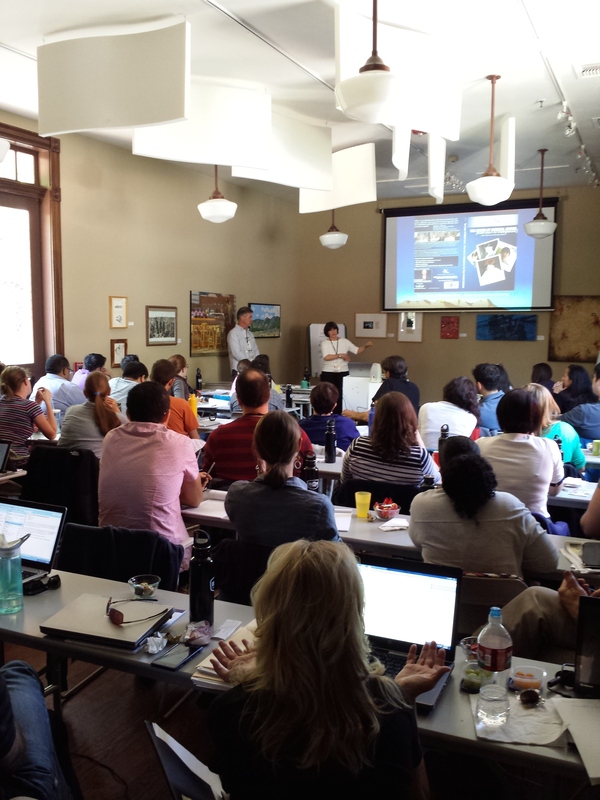 All of our faculty commented that the experience and passion of the residents grows each year, many citing the influence of past Telluride Resident Scholars who have led change and served as role models at their institutions. However, what all of us also noticed is the growing frustration shared by many of these resident leaders. Their personal stories describe a health system that is totally broken – poor or little communication among care teams, disruptive and abusive caregivers, extreme work demands and pressures being put on them to get things done even when it means putting patients in harm’s way. Some shared that on call, they are being asked to care for as many as 50-60 patients while also having to admit new patients to their units with little or no support – a set-up they say all too often causes patient harm. Others shared their fear in calling for guidance from higher level care providers due to an underlying culture that says “you are weak and inadequate” if you call someone for help even though that call and assistance could save a life. Many also shared their personal “silent hurt” after being involved in an incident that harmed a patient. Telluride provides a safe environment for attendees to share personal stories they cannot share at their own hospitals. While a number of institutions have started care-for-the-caregiver programs, this growing “second patient” concern among our resident physicians is not being addressed. 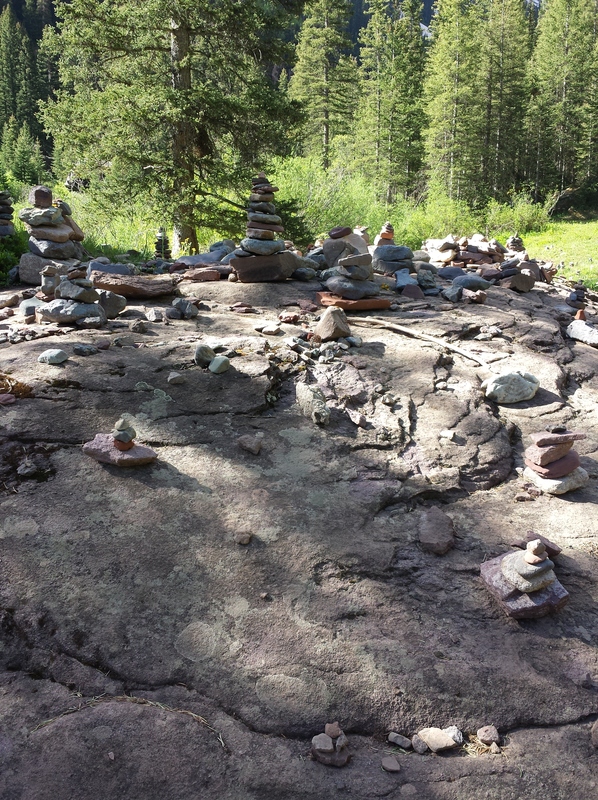 I would like to share one of the many reflective posts authored by one of the residents this past week on the Telluride Summer Camp blog – this one by Nicholas Clark, a resident physician at Children’s Mercy Hospitals and Clinics of Kansas City. I had the opportunity to visit CMH last year – they are doing great work in safety and quality – their commitment to patient safety was again very evident in the five days I got to spend with Nicholas. Where is our support… On Wednesday 6/11 we discussed the case of “Sally,” a 9-year-old girl who died because of medical errors. Regardless of how you look at it, this is a tragedy. In our discussion, the presenter described why this resident was “set up to fail.” The resident had undergone numerous emotional battles in the prior months on the wards and in the ICU, had struggles outside of the hospital, and ultimately quit the residency program as a result of Sally’s death, but there was not one discussion on Wednesday about how we should care for our residents. Unfortunately, this resident’s story is all too common. 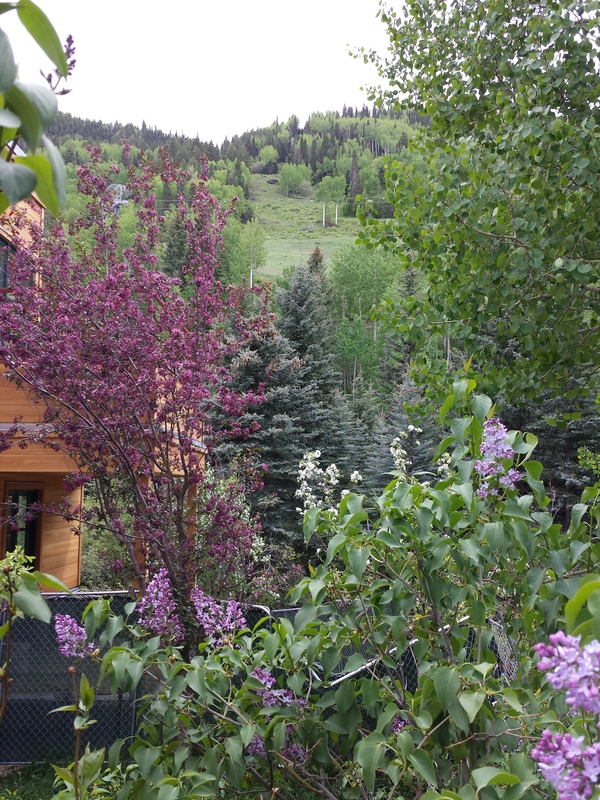 Many of our Telluride attendees sympathized with the resident outlining how similar their experiences have been to Sally’s resident. I too can look back and see myself in that position. It is well documented in the literature that residents, regardless of profession, develop higher rates of depression and suicide than the general population as a result of our profession. Up to 20% of residents and medical students will face depression, and up to 74% of residents will face burnout. Those residents who battle with depression are six times more likely to cause medical errors than those residents who do not suffer with depression. While it is easy to point the finger at the resident or the system for causing medical errors, and, at the same time, provide support for the family and the patient, there are few programs in place that support our residents and medical students. These are individuals who choose the medical field to cure pain and suffering, not cause them. When residents discover that, despite their best knowledge, skill, and intention, they harm someone, it is absolutely devastating! Do not get me wrong. I completely agree that we should first tend to the patient and family that have been affected. However, we cannot forget about the second patient that was harmed – the resident. We need systems that automatically fire to debrief residents when harm occurs so they can learn from the event. We need systems that automatically fire to find systematic solutions to the problem so no other patient is harmed. We need systems that automatically fire to provide support for patients and families who suffer harm. However, we also need systems that automatically fire to provide emotional support for our residents when they are involved in a case of patient harm. Finding that you were part of the cause for patient harm can have a devastating and lasting effect on a resident. Residents are already a set up for depression which, as mentioned, is then a set up for further medical errors. These two perpetuate each other in a never-ending cycle. We need to break the cycle. We need support! Shared decision-making, choice and compassion are three key takeaways from our second day at the Ah Haa school in the Sangre de Cristo mountains. The Michael Skolnik Story has served as the Telluride Patient Safety Summer Camp teaching tool that conveys lasting learning around shared decision-making and the informed consent process by connecting the heart with the head. Michael, like Lewis yesterday, is another senseless casualty of a healthcare culture slow to evolve. While the more overt failures to protect him may have come in the form of a poor informed consent process and lack of shared decision-making with his Mom, Patty, and Dad, David, there were also many poor choices made by those charged to care for him along the way. Choice has come up a number of times, a number of different ways already this week. One of the residents yesterday mentioned a near miss she experienced with an infant, and how a number of nurses and residents knew long before the baby crashed that something was going wrong. Yet no one chose to challenge the poor treatment choices the attending physician was making. With a shaking voice she shared it was infinitely harder to look at what was only moments ago a healthy child, and know you could have chosen to do something to influence a better course for a patient. In both Michael and Lewis’ cases, others knew something was not going as it should in their care, but failed to speak up before it was too late. Everyone here in Telluride this week–everyone that touches healthcare–has the power to improve the life of a patient by the choices they will make upon returning home. Choice was also at the center of Paul Levy’s (@PaulfLevy) negotiation session. Win-As-Much-As-You can, a game that allowed players to either cooperate and win a modest amount of money, or choose to break bad, and go for it all at the risk of losing the trust of the group, provided immediate consequences to choices made. The experience of negotiating a simulated real estate deal laid the framework for understanding first-hand how choosing to seek, and honor, the interests of the “other” in any deal, made for joint decisions that built relationships. These negotiation skills, Paul shared, would not only serve our attendees well when having to come to agreement on patient care with colleagues, but also in life when negotiating jobs or navigating relationships. 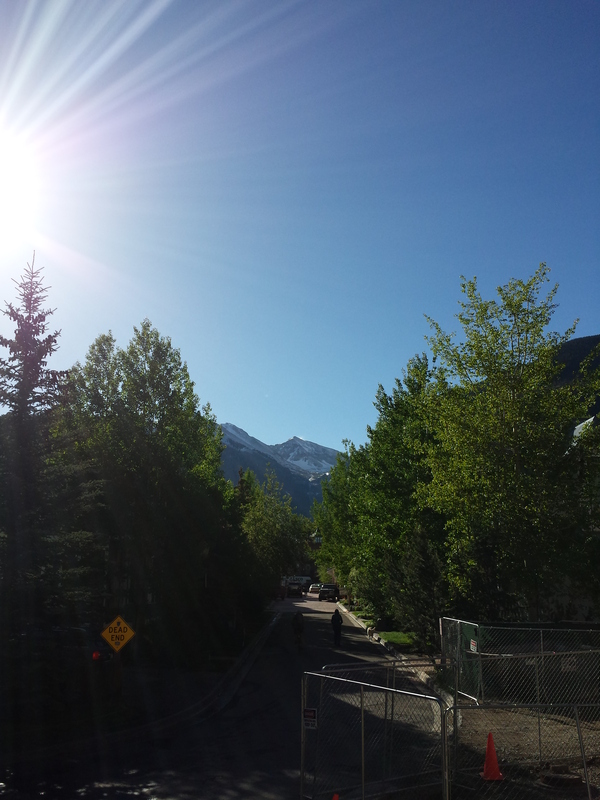 And as Day 2 at the Telluride Patient Safety Resident Summer Camp came to a close, Kim Oates MD (@KimRKO) from Australia encouraged attendees to reflect on what the barriers of showing more compassion in the daily delivery of healthcare might be. The residents shared the following list, and Kim gently guided the group to look at the flip side of their perceived barriers–to see where they might be able to squeeze in just a little more compassion. One’s own nature: Being more of a thinker than a feeler making expression of emotion more challenging. Kim commented that it’s good to know your own comfort zone, and to find authentic ways within one’s own limits. Cultural barriers that prevent touching — To show greater compassion in these cases, one resident suggested taking a meaningful pause, offering a tissue, listening, or sharing information. Kim suggested that while this approach may take more time upfront, it can save time overall because it improves relationships, and with it, patient care. Technology creates barriers — i.e. location of EMR requiring back to face the patient, walking in focused on iPad. Kim shared how he would rearrange his office before patients entered to remove physical barriers. Kim closed the discussion by encouraging everyone to consider where they might add a little more compassion in their interactions with others, reminding the group that professionalism does not have to equal being emotionless. Each year in Telluride, we kick off the week’s conversation on open and honest communication in medicine by showing the Lewis Blackman Story. For the 10th year in a row, Helen Haskell, Lewis’ mom, was part of the Telluride faculty and for the third year, led the post-film discussion along with Telluride Patient Safety Student and Resident Summer Camp founder, Dave Mayer MD. Many of the resident scholars commented on the various levels of communication failure that occurred during Lewis’ care. Doctor to patient communication, provider to provider communication, power gradient communication challenges–it has been clear for some time that being uncomfortable communicating with anyone in the circle of care to patients puts the patient, and also caregivers, at risk. Lewis’ case is an unfortunate example of what goes terribly wrong when open, honest communication is not valued in a health system. For those of you who haven’t heard Lewis’ story–he is someone you would have loved to have met. He would be 28 years old this year had his path not crossed that surgical suite almost 14 years ago. An actor, a scholar, an athlete — a lover and friend of the underdog–Lewis was the teen you hoped your kid was hanging out with when you weren’t around. By all accounts, Lewis’ was poised to do wonderful things and he left his mark on life early through his caring, thoughtful nature, a witty sense of humor, a loving son and brother, and now an inspiration to many of us trying to make care safer for patients today. He is one of many who serve as an example of continued and senseless loss in our slow movement toward zero preventable harm in healthcare. We need to decide today, that it’s time to take action in new ways to prevent the same stories from repeating. For example, what can we do to improve our professional communication skills among healthcare teams so that we ensure families like Lewis’ do not suffer a similar loss? So that good, conscientious caregivers are not put through the traumatic experience of harming a patient out of fear of speaking up in a toxic culture? Which medical education programs are stepping up to incorporate interpersonal communication skill building into their core curriculum from the first day of medical school? Please share best practices in teaching medical and nursing student communication, and start an open conversation about better ways to teach communication to care providers at every level.